In the United Arab Emirates, a Russian criminal boss wanted for murder and awaiting extradition to Russia masterminded his escape from a Dubai prison and vanished without a trace, Interfax news agency reports. 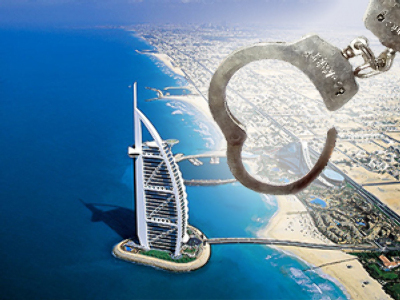 A chain of unprecedented crimes continues to rock the richest and best-known of the United Arab Emirates, Dubai. A year ago a former commander of the elite Russian anti-terrorist battalion Vostok, Sulim Yamadayev, a Chechen by nationality, was assassinated at the luxury Jumeirah Beach Resort in Dubai where he lived. The case is still open, with no end in sight. The Dubai police have arrested several men in connection with the case and put several others on Interpol's wanted list. 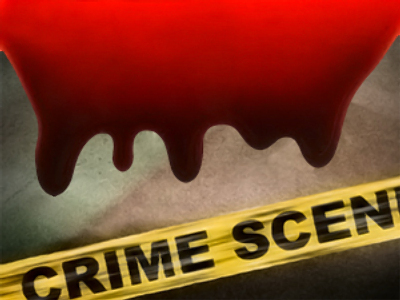 Another much-publicized crime also occurred in the same emirate recently, and is still in the media spotlight. Top Hamas commander Mahmoud al-Mabhouh was strangled in the bed of his hotel apartment. Allegedly, the assassination was carried out by 11 people that used forged British, Irish, French, German and Australian passports to enter the country. Allegedly they were either agents of Mossad or, on the contrary, agents of some other intelligence service that intended to damage Israel's international reputation. Anyway, the investigation of the case is in full swing. And amid all this excitement already going on in the Emirate of Dubai, a Russian mafia boss arrested in Dubai's airport and awaiting extradition back home chose to cancel his rendezvous with Russian police. A so-called "thief in law," 44-year-old Vladimir Vagin is accused of murdering an off-duty police officer, and therefore it is a point of honor for the Russian police to bring the criminal to justice. His escape from a detention facility, therefore, has really become a low blow for the Russian judicial system – as well as Dubai's police, which still hopes to find the fugitive. Russian law enforcement agents as well as Interpol officials are in Dubai now taking part in the investigation of the incident. A local law firm prepared false medical evidence according to which Vagin could not be kept in custody because of having "recently undergone major abdominal surgery." On the authority of the forged documents, Vagin was released from guard and immediately turned into a criminal fugitive. Vagin is wanted internationally because there is evidence that on March 15, 2009, he stabbed in the heart a police officer who was off-duty at that moment. The criminal was detained on February 2 after flight TG-0517 from Bangkok to Dubai landed in the United Arab Emirates and was put into a pre-trial detention facility from which he successfully escaped. A native of Russia's Nizhny Novgorod, Vagin has a record of seven convictions. The last time he served in jail was in 1998.